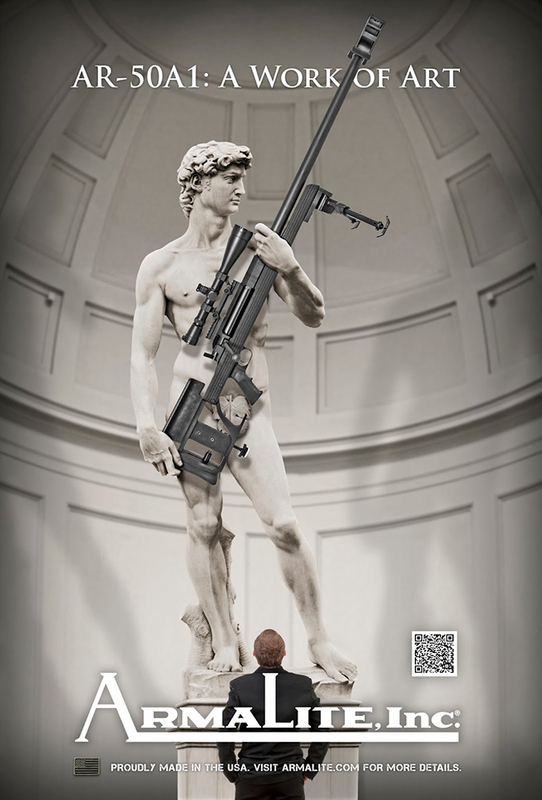 The Italian government is taking aim at Illinois gun manufacturer ArmaLite, which offended Italy's entire cultural ministry by using Michelangelo's David in an ad for the AR-50A1 rifle. Italy's culture minister, the Historical Heritage and Fine Arts Board curator, and the director of Florence’s Accademia Gallery (where David is currently on display) have all denounced the ad, and ArmaLite has been issued a legal notice to retract the image because the statue is considered government property and can't be used commercially without the proper rights and fees. Part of me wonders if the offended party might have let this go if the ad hadn't been for an American gun manufacturer. Or if the gun in question were a bit less over-the-top. I grew up with GI Joes and even I think that thing is overdesigned.